Iris blooms have six petals–the 3 outer petals are called “falls” which drop away from the center and the 3 upright inner petals are called “standards”. This beautiful form has given the iris a rich history of symbolism. 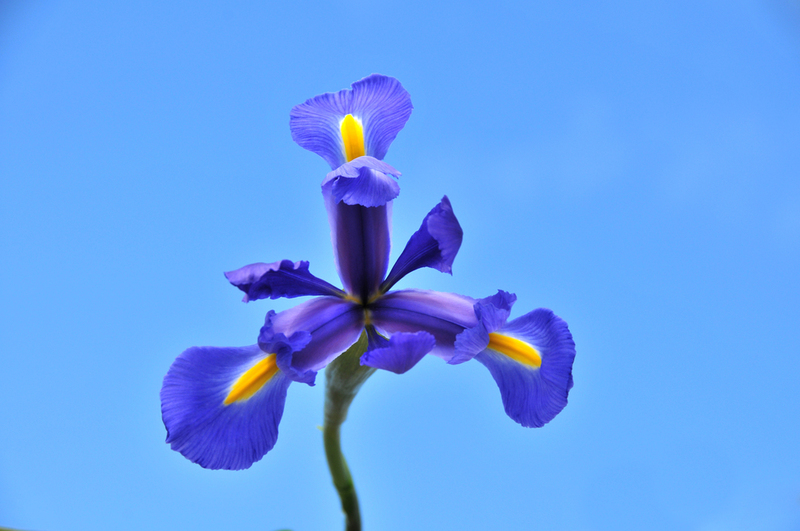 ORIGIN: In ancient Greece, Iris was the goddess of the rainbow, as well as being the messenger of the Olympian gods. According to lore, she was born of thesea god, Thaumas and the amber cloud-nymph, Elektra. 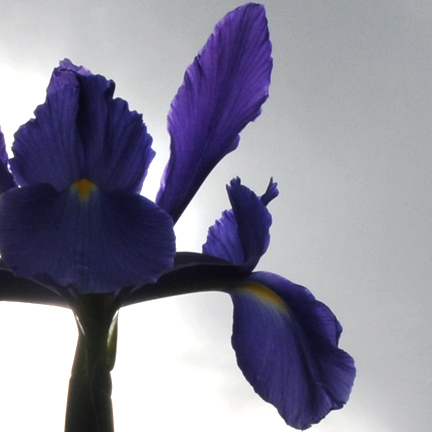 Iris was believed to replenish the clouds with water from the sea, providing rain, growth, and life. During the Medieval Period, the fleur-de-lis (considered a representation of the iris) represented French Royalty. Today, it is still used as a symbol of royalty, with its three "standards" reprsenting faith, valor, and wisdom.